Here at Milestone, we’re an everyone church. Nothing better represents this value than the story of Bailey Ryan and the small group she leads on Thursday afternoons. With over 300 small groups meeting weekly across our community what makes Bailey’s so unique? Bailey is only 11 years old and is leading a group of 4th and 5th graders through our Transformed small group curriculum! 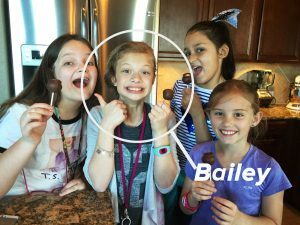 One night Bailey heard her parents discussing their Transformed small group and felt like she heard God prompting her to start one of her own. She took the initiative, started texting some of her classmates and got an amazing response. Several girls committed to joining the group and learning together. After meeting with her parents to discuss the material the night before group, Bailey and her parents pray over her room each week. On Thursdays Bailey brings her small group girls home with her after school. They meet in her room for over an hour discussing the same Transformed curriculum the adult groups are covering. They are talking through the topics, reading the Scriptures, and praying for each other. She makes sure her group knows the small group is safe place to share and that there’s power in agreeing in prayer together. Best of all, she plans to continue her group after Transformed is over and the girls are excited about doing another study together. 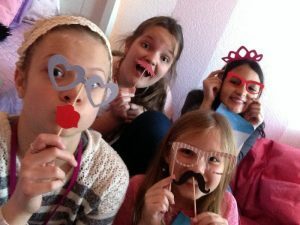 There are a lot of things preteen girls could be doing on a Thursday afternoon after school, but because of Bailey’s obedience in hearing the voice of God she’s created an opportunity for them to dig into His Word and form relationships together. We believe in the significance of the next generation here at Milestone Church. One day the vision, legacy and ministry of our church will rest in the hands of leaders like Bailey Ryan. We believe in training, equipping and empowering young people to do the work of Jesus on the earth. No matter your age or experience, you can make an impact on those around you and live out the mission of Jesus every single day. Bailey knows this simple truth–you don’t have to wait to be great.